Planning an exotic and beautiful Bali wedding in a resort at Kuta? We offer various wedding styles to make your wedding a memorable one. Kindly choose which of the wedding style is suit for your preference and let us do the rest. 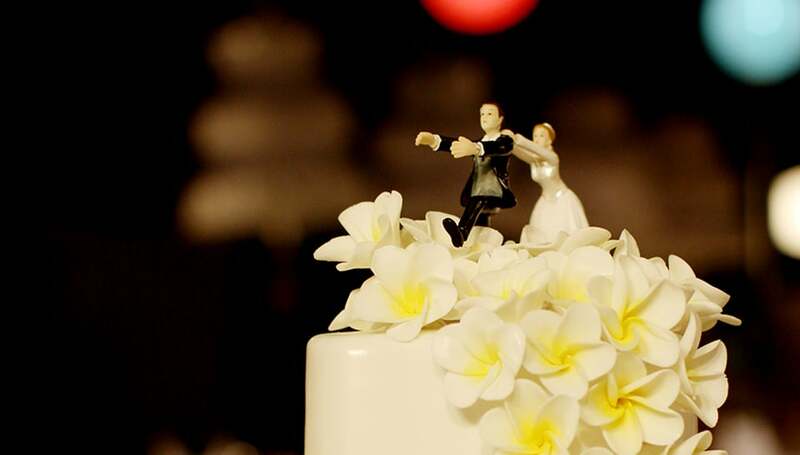 At White Rose Kuta Resort, we are ready to make your wedding dream become reality. We have all the support and resources to make a special and customized wedding arrangement from flowers to dining options. 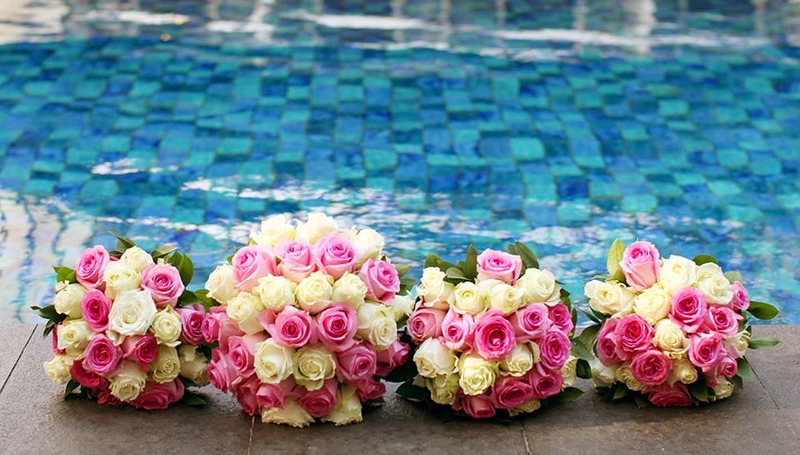 Your wedding at White Rose Kuta Resort, Villas & Spa will be more than just a glimpse of heaven. 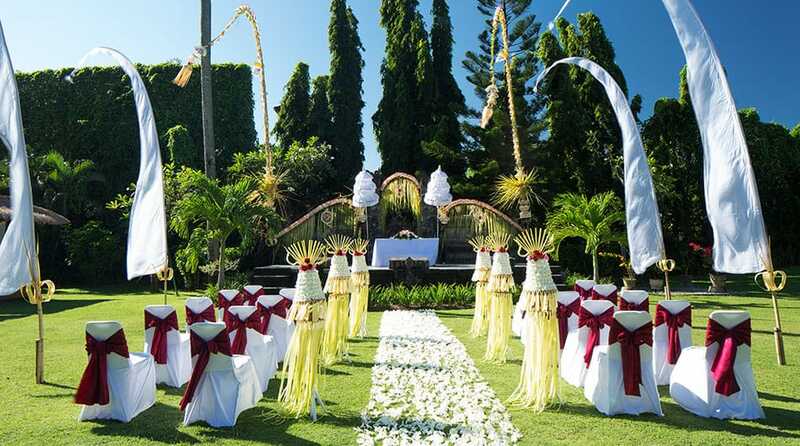 We are more than happy to help you arrange your wedding with our signature Balinese-style. This semi-open space sits akin to the garden and main pool at White Rose Kuta Resort, Villas & Spa. Celebrate your special day with special people in the spacious café & bar and have an entertainment of your choice to suit the theme and mood of the event. 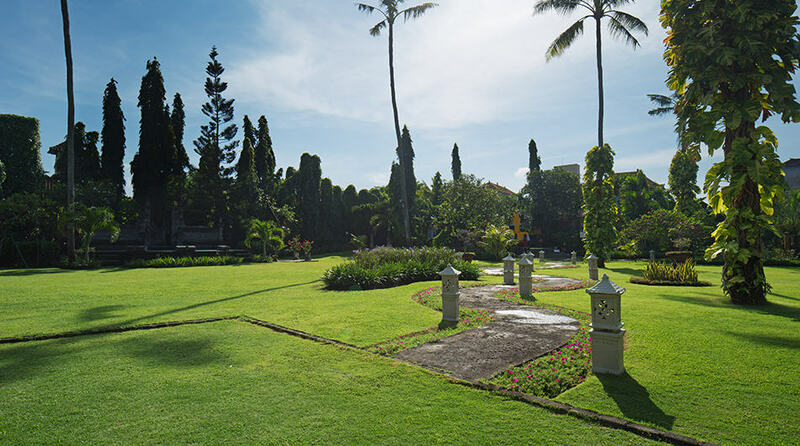 The lush garden at White Rose Kuta Resort, Villas & Spa is a beautiful space for a tropical Bali wedding of your dream and can seat up to 200 guests. Let our Wedding Coordinator know and we will make it according to your wish. We were married this past Saturday at the White Rose in Kuta with a traditional wedding setup in their lovely gardens. The White Rose staff and wedding package was awesome, they couldn't do enough for us and our guests, they included everything, from fire dancers, hair & makeup, flowers, a great DJ and some inclusions that I didn't even think about!I couldn't have asked for a better night. In the lead up we also used Starlight platters, Bali Karikatures, Oz Print Bali, Bali Butter cakes for birthdays (yum! ), Bali Oz esky rental, Bali Wedding Souvenirs and La'mour tanning - all of whom were absolutely awesome, so easy to deal with over Facebook and made our reception and wedding week fantastic. 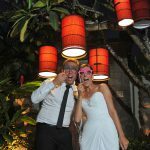 All our guets were completely amazed at our little slice of bali mixed with westrern wedding. My husband and i decided to get married in Bali, and chose the beautiful White Rose to use as the venue. The whole event was more than we could have ever imagined, with special thanks to Shanti, our beautiful wedding planner who was so efficient, organised and calm. She made sure everything went smoothly, so helpful to all my requests & was like a little fairy floating about on the day making sure everything went well. We could never have done it without her. She met all expectations and even upgraded us to a villa. The hotel itself is beautiful, the gardens are something to behold & the staff are always smiling, friendly and willing to help no matter what. From someone who lives in London and planned a wedding from there, this is definitely a great choice because the staff all make the planning so incredibly easy. I give five stars. 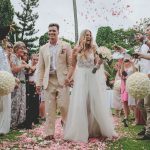 We think our wedding was perfect, we had the most magical day and night and felt supported and cared for during the entire process by the wedding planner Shanti and all the amazing staff at the resort. The ceremony and the reception were both in the hotels beautiful gardens surrounded by amazing flowers, beautiful lights and a night filled with fun, love and the most amazing food and cocktails. I thought organizing a wedding for another country would be stressful and I wouldn’t feel a part of this process, but I was completely wrong - during the entire process I felt happy, calm and like everything was being taken care of. 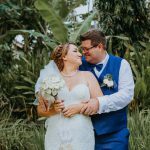 I had regular and insightful contact with Shanti during the entire time and could make as many or a few choices as I wanted and this lack of stress was what I loved the most about planning a destination wedding. Our guests all said that they had an amazing day and night and commented that the venue was beautiful. We can’t thank Shanti enough for the beautiful ceremony that she and her team most thoughtfully performed for us! Not only do we continue to talk about it, but our guests were also particularly touched by it. The words and philosophy were so beautiful and touching! Everyone thought it was the most beautiful, intimate and loving ceremony they’d ever witnessed! We agree wholeheartedly. The wedding and reception were absolutely spectacular and more than we could have hoped for. Several people told us it as the most beautiful they had attended. I know it was for us. We got married in the gardens of the White Rose Hotel on Sunday 15th June & it was everything we dreamed of & more.Shanti the wedding coordinator made the whole experience stress free, we communicated via email for everything concerning our wedding & Shanti made sure every answer we provided her was written down, when we finally got to meet her a week before the wedding she is friendly, warm & easy to get along with. we ran us through what would happen on the day & showed us where the ceremony & reception would be set up. On the day of our wedding Shanti ensured we knew exactly what was going on & was great all round making sure us girls & the boys were getting ready on time & also keeping an eye on the venues & adding our cake, accessories etc to the set up without a hassle at all. All round it was an amazing day & stay at the hotel for the weekend, they even gave us a gift of a wooden hand fan with our names & wedding date engraved on it 🙂 Lastly can’t thank Shanti enough for making our day everything we had hoped & dreamed & more, it defiantly exceeded ours & all our guests expectation. 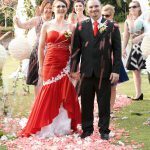 My husband and I had our wedding at the white rose on the 29th of December. The wedding was absolutely beautiful. Our wedding coordinator Shanti is brilliant at her job and went above and beyond to accommodate our every wish. The food at the wedding, decorations and attention to detail were second to none. We stayed in a villa for 9 nights, the villas are stunning and the staff were extremely attentive, helpful and friendly. The white rose is in a great location, is very clean and the staff are brilliant. I cannot thank Shanti and the white rose team enough for helping to make our dream wedding a reality.